Suzanne H. Press (nee Strege), formerly Erdman, of Juneau, formerly of Horicon and Theresa, entered eternal life on Easter Sunday, April 1, 2018 at Clearview Nursing and Rehabilitation in Juneau. Sue was born on October 9, 1941 in Theresa to the late Gerhardt and Leona (nee Heinecke) Strege. She attended Mayville High School and enjoyed playing the clarinet in the high school band. Following her graduation in 1959, Sue began working in the office for the Baker Canning Company in Theresa. She later worked for Theresa State Bank and eventually retired from AXA Advisors, where she was a financial advisor. Sue was united in marriage to Theodore “Ted” Erdman at St. Peter’s Ev. Lutheran Church in Theresa. Eventually, they moved to Horicon where Sue became an active member of St. Stephen’s Lutheran Church and School. Sue enjoyed singing in the church choir, and was very involved in the church school, while her children were young. Sue served as the church and school treasurer for many years, as well as being involved in the PTO. Ted preceded Sue in death in December of 1987. She later married Paul Press at Trinity Lutheran Church in Mequon and together they lived in Horicon. They became members of St. John’s Ev. Lutheran Church in Juneau. Paul preceded Sue in death in June of 2017. 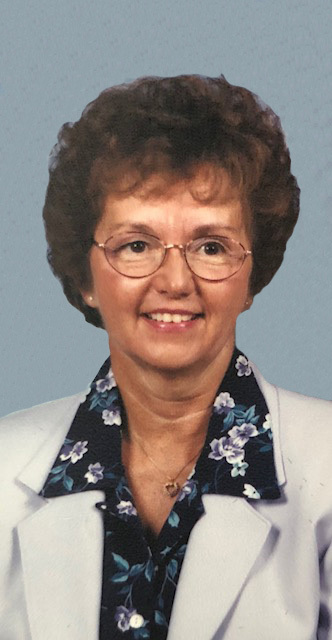 Sue mostly loved spending time with her family, attending her children and grandchildren’s sporting events, and traveling with them on many family vacations. She was an avid sports fan and enjoyed watching the Milwaukee Brewers. Those Sue leaves behind to cherish her memory include her three children, TJ (Nancy) Erdman of Horicon, Dawn (John) Steger of West Bend, and Amy (Greg) Miller of Franklin; seven grandchildren, Rachael (significant other Jake Spurgin) Erdman of Hartford, Erin Erdman of Horicon, Travis (Lauren) Steger of West Bend, Trent (Danielle) Steger of West Bend, Samantha (fiancée Brad Prinsen) Steger of West Bend, and Caitlyn and Addison Miller both of Franklin; four great-grandchildren, Opheeliah Erdman, and Reese, Wrenly, and Beckett Steger; a sister, Sandra (Wayne) Anderson of Frankfort, IL; and many other relatives and friends. In addition to her parents and her husbands, Sue was preceded in death by her very close aunt and uncle, Lillian and Ernest Kallsen. A memorial service in remembrance of Suzanne will be held at St. John’s Ev. Lutheran Church (400 S. Main St. Juneau) at 11:00 am on Saturday, April 7, 2018. Rev. David Brandt will officiate and burial will follow at Theresa Union Cemetery. Visitation will be at the church on Saturday from 9:30 am until the time of service. The family would like to extend a heartfelt thank you for the wonderful care that the staff at Clearview provided for Sue over the past few years. The Myrhum Patten Miller & Kietzer Funeral Homes have been entrusted with Sue’s arrangements. Online guest book and condolences may be found at www.myrhum-patten.com.